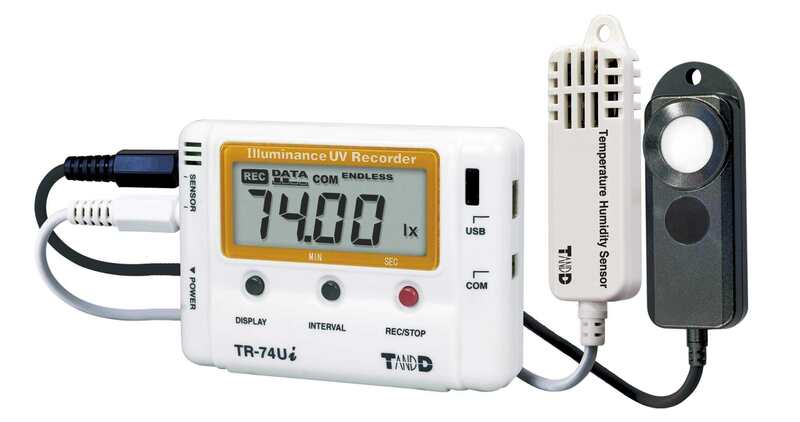 The "TR-74Ui Illuminance UV Recorder is type of a data logger instrument that is intended to simultaneously measure and record four different items which is composed of an illuminance, ultraviolet light (UV), temperature, and humidity. It can display cumulative illuminance and cumulative amount of ultra light through its LCD display. 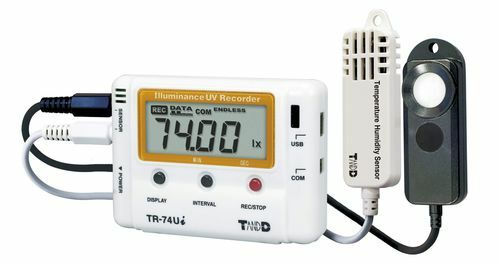 The illuminance can still be measured within a wide range even from moonlight and summer sun. This instrument is considered as an all-in-one package due to the presence of its data logger unit, sensors and softwares. Two types of packages can be offered with different temperature/humidity sensors depending on the required measurement range and accuracy. The data can be downloaded easily to a PC through the use of a USB.